It was -6°C last night. But inside our overland camper it was a comfortable 22°C instead. 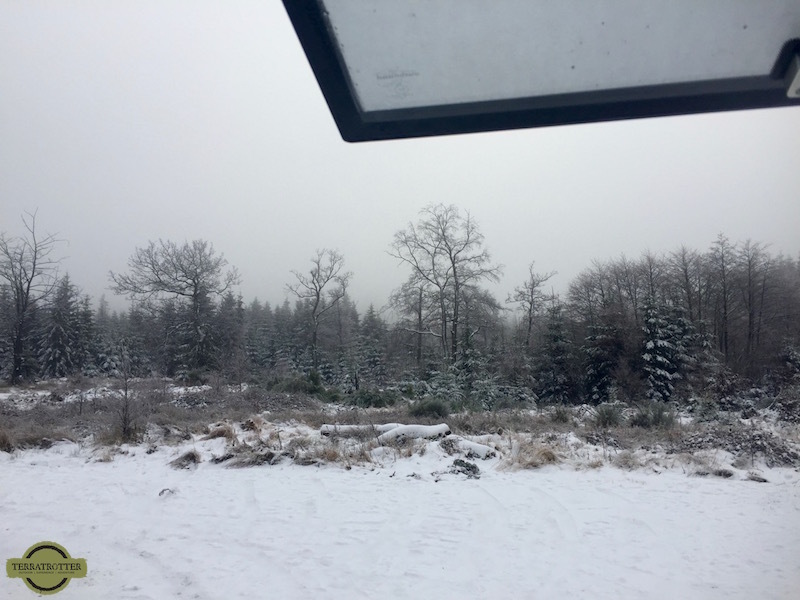 We’re in the snow-covered Belgian Ardennes. We finally installed our heating system, so the winter season no longer stops us from wild camping. 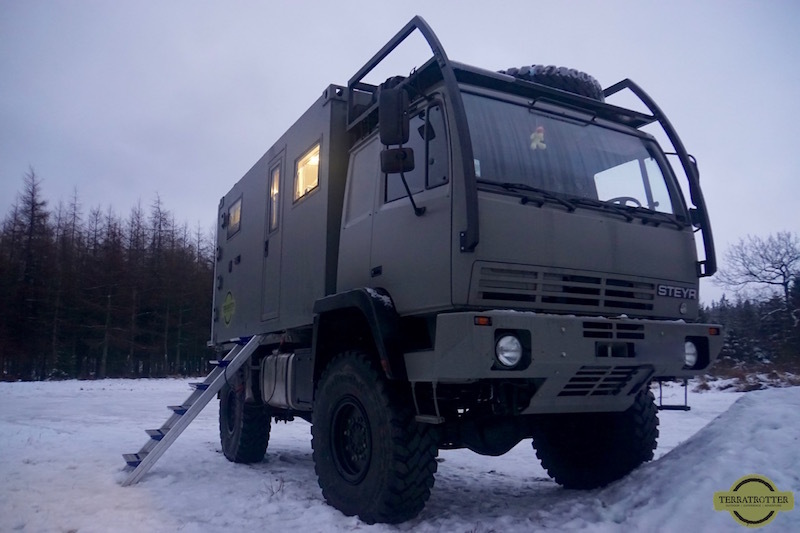 The heating was one of the biggest struggles we faced in the build of our expedition truck / overland camper. The pressure we put on ourselves to get it right, even immobilized us. The information we found online (early 2015) about the different systems was for heating-newbies likes us often too complex and contradictory as well. We were lost about what kind of heating system we wanted and we were impatient with making progress. As a result we continued with the build without making any decision about what to do with the heating. We became a textbook example of HOW NOT TO DO IT: installing the entire heating system at the end instead of the beginning of the build. Even though we knew from the beginning we would regret this decision, we still put it off as long as we could. Stupid, stupid, stupid! And now that we have it behind us, are we happy with the heating system we finally installed? … It’s complicated J . In the next few paragraphs you can follow us in how we eventually came to our final choice. 1. Gas (lpg) or diesel heater in our expedition truck? A gas heater runs much quieter than a diesel heater. And, lpg is also a lot cheaper. First of all, it requires a large lpg tank (the smaller propane bottles we use for cooking do not suffice). Since we (once) had a lot of open space on the chassis we wouldn’t have had a problem finding a spot for the tank. But this would mean we had to sacrifice a large storage box. With the camper unit only being 8 square meters and used as a fully functional house on wheels, giving up extra storage space is not something we like to do. An even bigger issue is the problem of refilling the lpg tank. We heard from other travellers that this can be extremely difficult in some countries. In addition, we were worried about the extra hassle with shipping the truck. Most shipping companies don’t like these kinds of installations. Some require the gas tank to be empty (which is definitely inconvenient), while others require additional paperwork or certifications. For us personally, the advantages of a gas heater did not out weigh the downsides. We especially didn’t like the risk of running out of lpg (and thus losing the capacity to heat the camper unit). RESULT: A diesel heater it would be. 2. Hot air or coolant/water heating system? 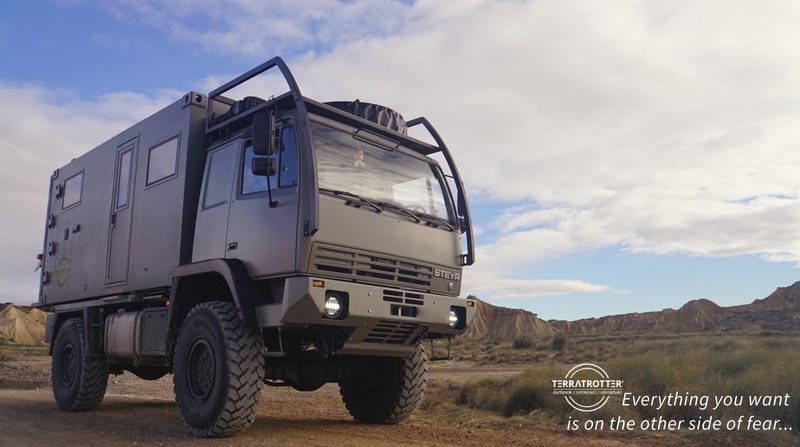 A hot air system is simple to install in an overland camper. The heat it produces is almost instantaneous and can be better directed. A potential downside is that the ducting is difficult to insulate. Heat can therefore be lost in places where you don’t want it (e.g. underneath the fridge). But if you don’t plan your system/build carefully this can also be an issue with the coolant system (as we experienced). A second downside of the hot air system is that it requires more space. Two well-known hot air systems are the Webasto Dual Top and the Eberspächer Airtronic. The issue with the last one is that it can’t heat up your tap water and thus requires a separate solution for that. The Webasto Dual Top on the other hand comes with an integrated 11-liter water boiler. However, we’ve read mixed reports about Webasto Dual Top (e.g., problems with starting, with high altitudes, …). Another factor that worried us about installing the Webasto Dual Top was that if something breaks the entire Dual Top has to be taken out, including the boiler (thus losing hot water on tap). And in case it can’t be repaired locally, shipping it will not be cheap. 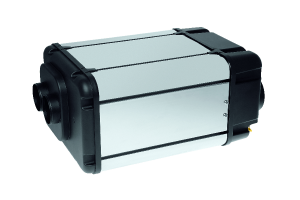 The coolant water heating system from Eberspächer – the Hydronic– gained our interest. The Hydronic can heat up our tap water, but does not come with an integrated boiler like the Webasto Dual Top. This gives us the extra flexibility to purchase any size boiler (20 liter instead of 10 liter). Plus, this separate boiler (calorifier) can also run on solar or wall-power when needed or desired. Another advantage is that all the individual parts of the Eberspächer Hydronic can be serviced and repaired separately. So if something breaks, the entire heater doesn’t need to be taken out. RESULT: The Eberspächer Hydronic II D5S coolant system joins us on the road. We did not realize when we purchased this system how complicated it would be to install it. This was not within our skillset and thus had to hire professional help. Since we had to work around/underneath all the furniture further complicated the entire installation, argh! The 3 days of extra labor cost almost doubled the price of our heating system. In part 2 we describe in more detail (incl. 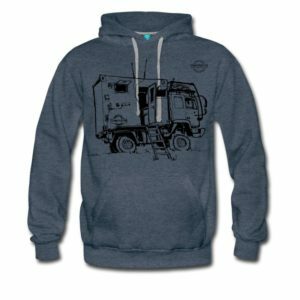 pictures) how we exactly tackled the heating in our overland camper truck. Thank you so much Tom! There is quite some time and energy involved in writing our articles, so feedback like yours keep us motivated to continue. Excellent information. It will save me a lot of time on the internet. thanks! Thanks Peter! Happy to hear that it will save you time on the internet, so you have more time to actually build your vehicle. Thank you for the info. I own a Stewart & Stevenson and I Am totally perplexed on how to go about building it. I would greatly appreciate any info. you have on how and who to see in the southeast region of the U.S. I’m a former vet trying to complete a bucket list. Thanks again. Great info and reasoning, thanks for sharing. your site is great is full of good idea! can you tell me where you found your stairs?